What it does: Oil-free formula actually ""bridges"" fine lines and wrinkles, smoothing and minimizing them for an instantly firmer look. Skin-brightening ingredients help counteract shadows, reduce redness, give skin more even tone. Ophthalmologist tested. Long-lasting, buildable. 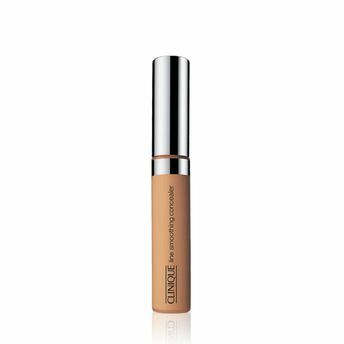 Explore the entire range of Concealer available on Nykaa. Shop more Clinique products here.You can browse through the complete world of Clinique Concealer .Alternatively, you can also find many more products from the Clinique Line Smoothing Concealer range.